Burglary is generally defined as the unlawful entering of a place with the intent to commit a criminal offense that involves entering a building unlawfully with intent to commit a felony or to steal valuable property. In other words, if a person illegally breaks into someone else's property with a plan or intention of stealing something from that property, you can be arrested for burglary. The seriousness of the crime can depend on a variety of factors, such as when and where the crime occurred, whether or not people were present when the crime was committed, and whether violence or weapons are used. A burglary is committed when entering a building with the specific intent to steal something or commit a felony. All the state needs to prove is that you had the intent to steal something or commit a felony when entering a building. The prosecution does not have to prove that you actually stole something or committed a felony. For example, you could be found guilty of burglary for entering a building with the intent of vandalizing it. You could also be found guilty of burglary even if there was no evidence of stolen property if the state can prove you had the intent to steal something when you entered the building. First degree burglary, which is always a felony. Second degree burglary, which can be charged as a misdemeanor or a felony. First degree burglary happens when a burglary is alleged to have been committed in an inhabited dwelling (i.e. a home). The penalties for this crime can be probation or state prison time. (Note that when you are granted probation this means you could serve no time or get up to 365 days in county jail as a condition of your probation, along with other terms). If probation is denied then you are sent to state prison. First degree burglary or residential burglary are serious criminal charges. Moreover, the District Attorney and the courts are very protective of homes, and will want actual incarceration, in most cases, when someone has been charged with burglarizing a home. Therefore, we will always try to reduce first degree burglary charge to the much less serious commercial or second degree burglary to avoid potential jail time in these types of cases. 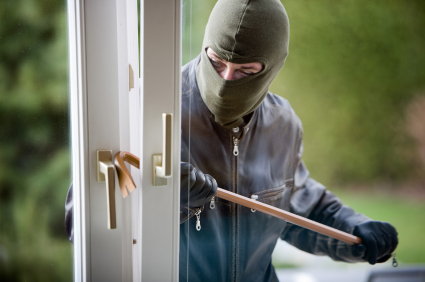 Second degree burglary is any burglary that does not take place in an inhabited dwelling place, commonly called commercial burglary. Commercial burglary usually takes place in businesses. You can be charged with commercial burglary when you have the specific intent to steal something from a store when you walk in the door. Typically, commercial burglaries will be charged as misdemeanors when the value of the property taken is less than $400.00. If the value is over $400.00 then the burglaries will be charged as felonies. So, you can be charged for misdemeanor commercial burglary when stealing something as little as a pack of gum. The maximum penalty for misdemeanor commercial burglary is one year in the county jail, although the penalties are often much less than that. The key issue for burglary is intent. Can the state prove that there was an intent to steal? If the state can’t prove intent to steal then charges will most likely be dismissed or the defendant will be found not guilty at trial. If the state has problems with proving intent to steal, then the case can be dismissed or settled for reduced charges and potentially zero jail or prison time. If intent to steal can be easily proven by the evidence then there is still hope to avoid any actual jail time. The key factor in this case is to show remorse and to pay back full restitution to the victims. What was taken must be given back or paid for by the defendant in order to get a reduced punishment and hopefully reduced charges as well. Other key factors to consider in these cases are if the defendant has a prior criminal record for theft. If the defendant has a prior record for theft especially burglaries punishment will typically be more severe. If there is no prior record then punishment can be greatly reduced. We get probation for the vast majority of clients; with probation comes the opportunity to have community service, home arrest, or work project as opposed to actual jail time. If you or a love one has been arrested for burglary, get professional representation from an experienced attorney immediately to protect your rights by contacting The Sheena Law Firm today.